Who: Andy Lee Graham will run the web cam. 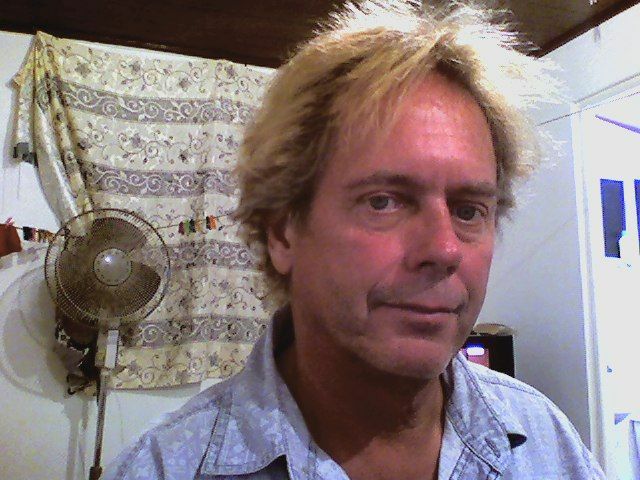 I am Andy Lee Graham, the chief Travel Writer / Blogger for HoboTraveler.com. I want to make a special experience for my readers, I want to give you a live tour of the country I am in, allow you to ask questions, me to answer questions. This is confusing and complicated, but that is the goal. You can help by telling me what you want to see on this web cam? There are people who want to learn how to travel, like my gear, their are others who want to see tourist attractions. We have purchased a wireless web cam, and with my USB Wireless Internet access, which cost about 150-300 USD per month, I hope to be able to take this live web cam anywhere in any country. Please be patient, we are working on this, there are many problems to solve. I am on a USB Wireless Modem, the cost is 3 USD per hour. Andy Lee Graham in Sosua or Montellano, Dominican Republic in the Carribean. You need to be a Hobo Member to watch Join Now to get user name and password. 1. Need to have about three extra lights in room. 2. Open your webcam streaming program in a different browswer than you use, for example, I am regularly on Internet Explorer, yet I am using Mozilla Firefox to open "LiveStream.com." 3. Temporary files will eat your computer, you need crap cleaner to clean. 4. Putting music on when not in session. 5. How to allow viewers to communicate? Webcam Defined: A webcam is a video camera that feeds its images in real time to a computer or computer network, often via USB, ethernet, or Wi-Fi. Hobo Traveler has a live webcam up and working in Sosua, Dominican Republic, it will be running daily between sunrise and 10 PM. I hope to broadcast a live web cam from a 32 foot fishing boat in Sosua Bay at 7:30 AM to 1:00 PM Sosua, Dominican Republic time Sat January 28, 2012. This is about the same as a live television broadcast, we want to turn on the camera and show you live what is happening here in the Dominican Republic. Web cam today in Montellano, Dominican Republic of parade, I am not sure, maybe celebration of new biofuel place or carnaval. We at HoboTraveler.com are trying to publish live streaming video from any location on the planet that Andy Lee Graham visits.